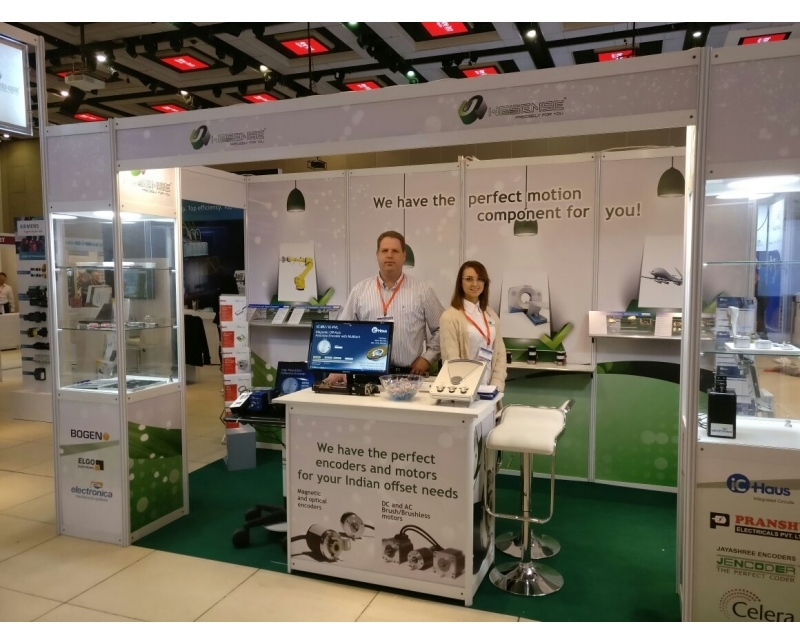 With one of the biggest booths on the Power & Control show, Wesense Motion has launched its 2017 marketing activities at this important trade show. Wesense was very happy to present the ultimate solution for an optical, High-Resolution, Reflective, Low Cost and very low height PCB based encoder! Costs: lower than any known optical encoder in the market! Production: In India for Offset needs or Germany if required. You are welcome to visit us again at the Power & Control 2018.